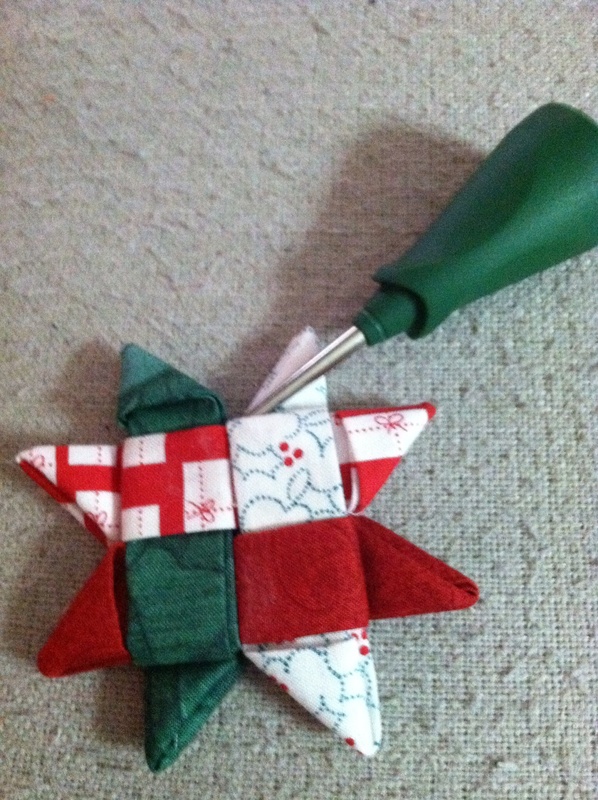 I just got home from the Emerald Coast Modern Quilt Guild Christmas lunch and ornament swap. We had a great time and there were so many cute ornaments exchanged. I made these and Kelly got them! 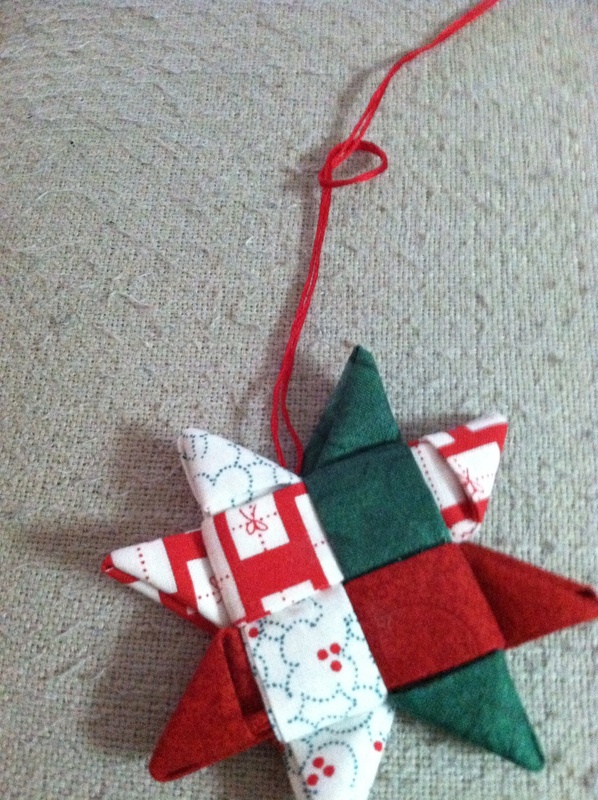 I found the link online at Betz White’s blog, “Woven Christmas Ornaments” at http://blog.betzwhite.com/2011/12/fabric-star-ornament-tutorial.html. I will post a few pictures of how I made it with a few things I did. 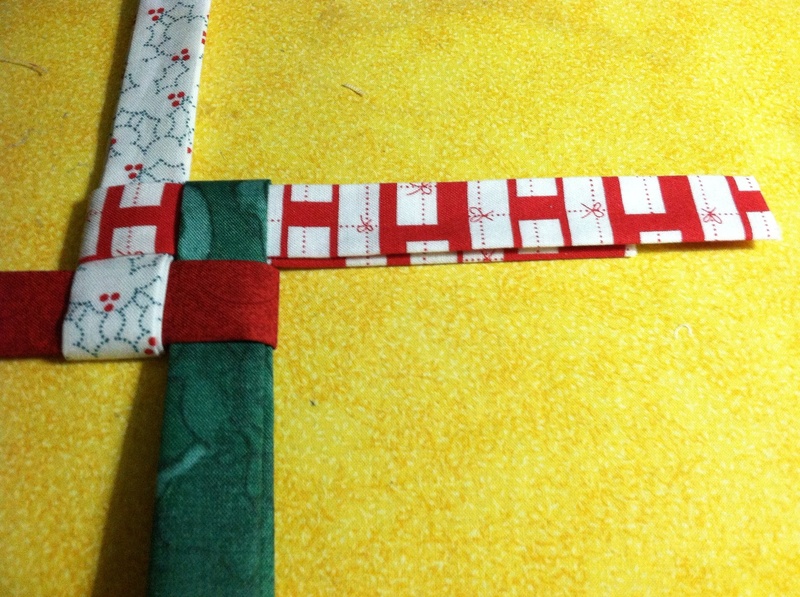 First, keep the weaving tight as you go. It’s real important to keep the second set of weaves tight. 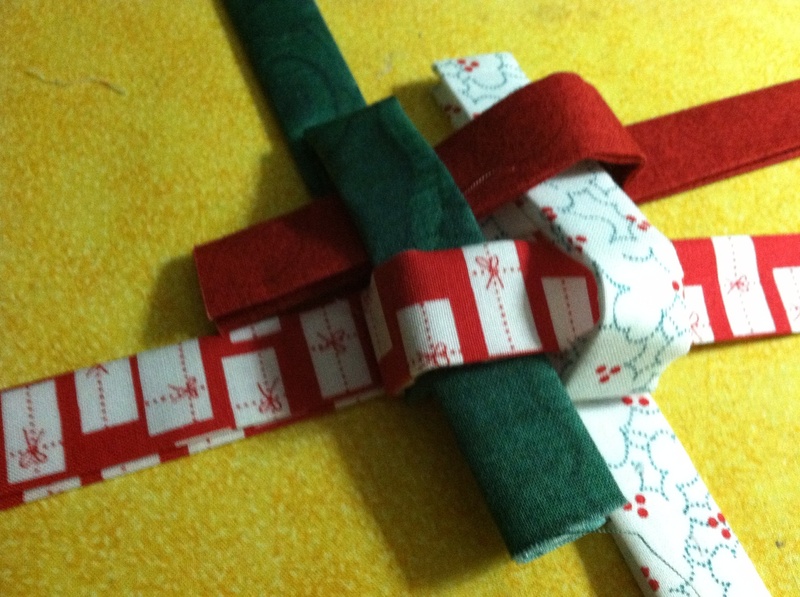 This is where I began to use binding clips. You can also use some Elmer’s School Glue to keep it from moving. 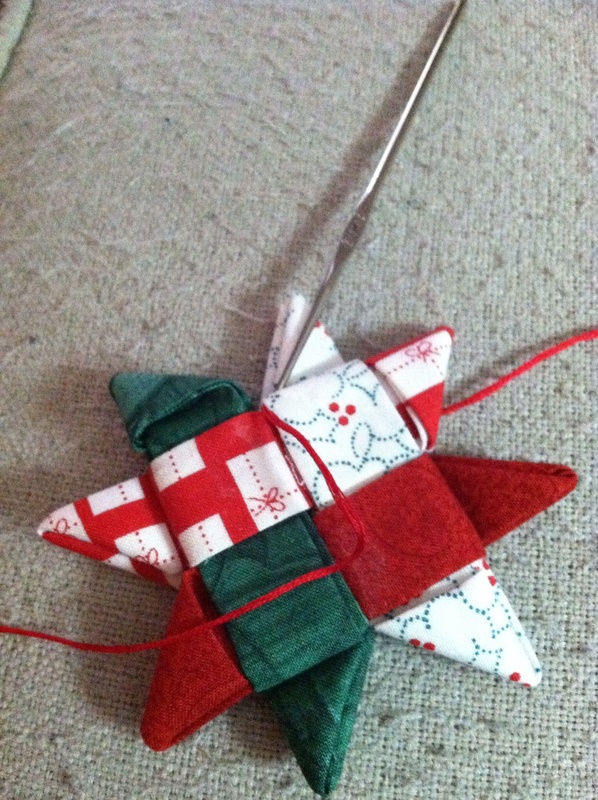 Just squirt a little in between the woven pieces once they are tight. I used a punch to make the hole. 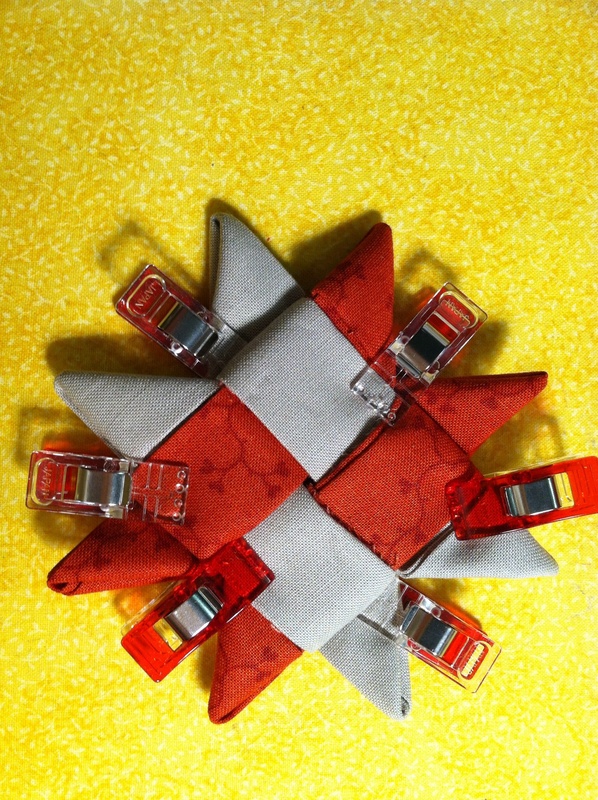 A metal crochet hook and red embroidery thread were used to make the loop. That’s it. They are fun and easy. 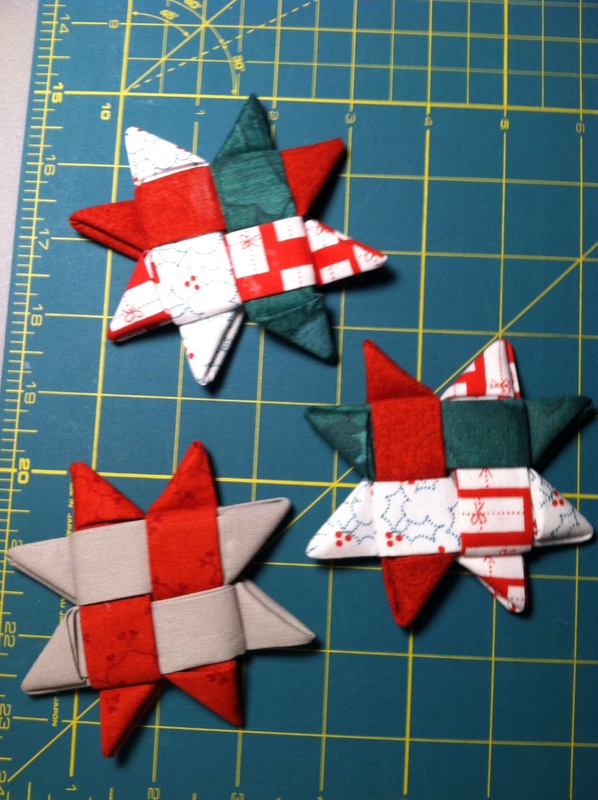 If you like origami, there are also great paper star directions at http://highhopes.com/3dstar.html and http://www.gratefulprayerthankfulheart.com/2009/11/1-year-blogging-anniversary-tutorial.html.